Everybody on the same dive site! From the shore you can enjoy amazing dives and the rest of the family can go snorkelling or even do an Introduction Dive! You don't want to sit on your knees in a swimming pool? The combination of shelter and shallow water makes it the perfect place for your first dive! Surrounded by sand and trees diving from the shore really gives you the holiday feeling! Our Crew will make sure you have a comfortable day and amazing time!!! It doesn't matter what weather it is, we will always find a protected bay where we can enjoy a perfect day. Join us for a day on the beach! 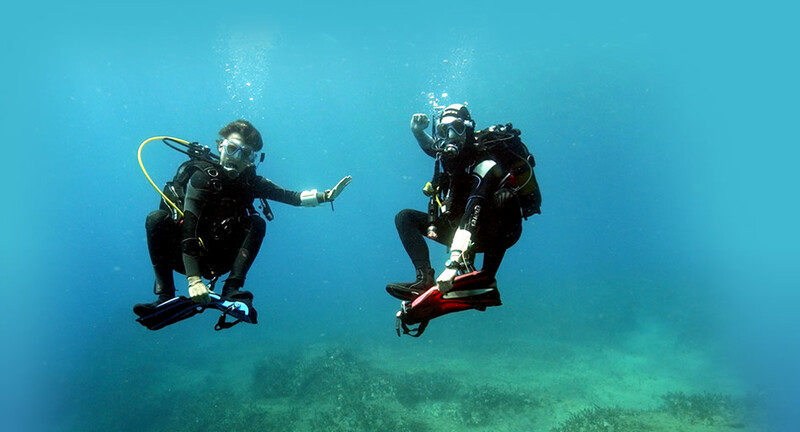 Join our daily shore diving programme and enjoy amazing dive sites which are easily accessible for everyone.